As a hemiparasite, the Indian paintbrush is part wildflower and part leech. The paintbrush roots reach into the roots of nearby grasses and rely mostly on them in order to gather their nutrients. As you can see in the photo above, all three are sprouting from the green grass while there are none in the surrounding dead grass. 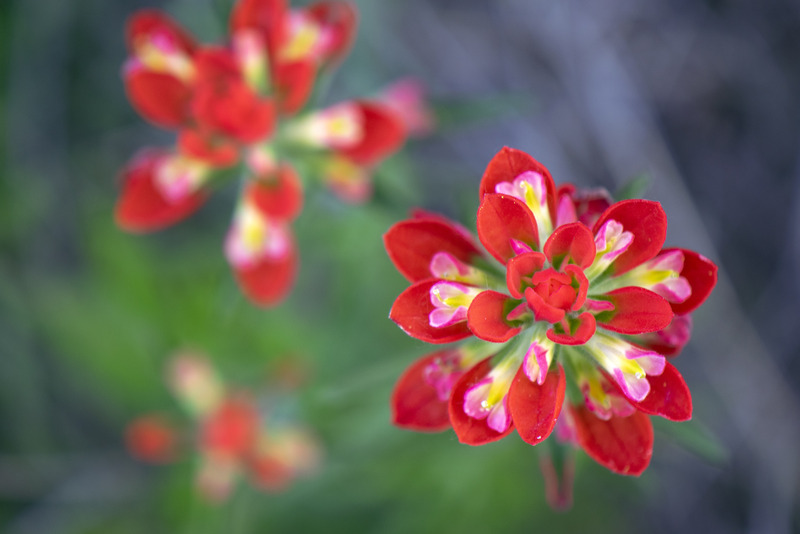 While you may see different colors of paintbrushes around north Texas, they’re all Texas Indian paintbrush. There are other species of paintbrush in Texas, but the plants themselves look quite different. 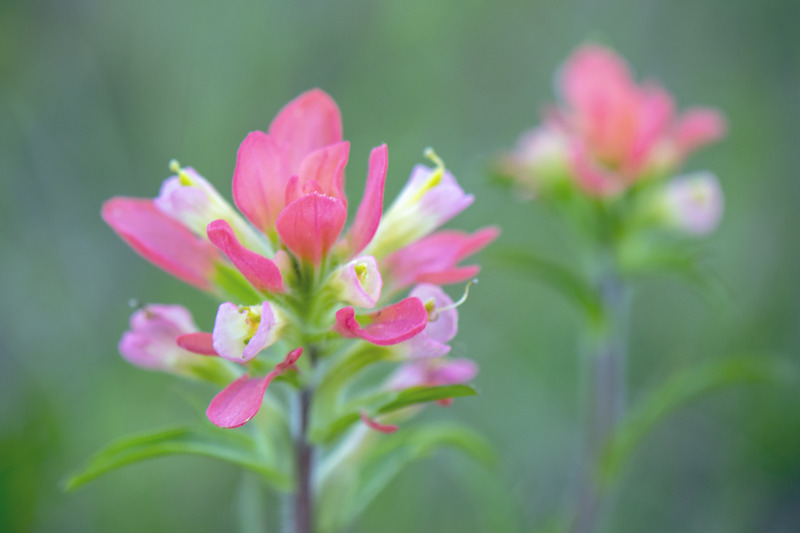 So, if you’re driving around and you see white, pink (seen above) or red (seen further above), you can tell those around you that they are Texas Indian paintbrush confidently.